Firms in the professional services industry often have a difficult time managing the large volumes of information that come with each project. Having access to all project information from emails to drawings to contracts is important and vital for effective project management. With information silos, disorganized yellow folders and different systems per team, there is a greater chance for a less than successful outcome on firm projects. 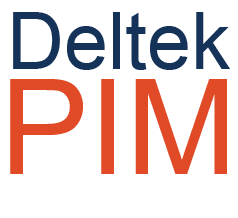 Deltek Project Information Management, or PIM, changes the way professional services firms manage information. Many professional services firms believe that using yellow folders to store project documentation is the best option. While they are certainly easy to create, these folder structures offer no options for controlling access to the most up to date project information. Critical project data can easily be missed, and uninformed decisions can be made without a central place to view all current documents like offered with PIM. One of the biggest mistakes that project-based businesses make is not considering email communication valuable project information. Emails and their attachments have significant details that help keep track of the project progression. Issues crop up in email correspondence that are essential for project members to see. For the project to run smoothly, these emails must be stored appropriately as PIM provides. Deltek PIM offers a cohesive information management system which ensures that the correct knowledge is always available to all project team members. By implementing PIM, professional services firms can store, catalog and retrieve all essential project management documents from one place. If your firm is still managing project information using yellow folders or keeping information silos, the best decisions are not being made. PIM can help make better ones.